10 May 2016 Unlocked content from the archive. 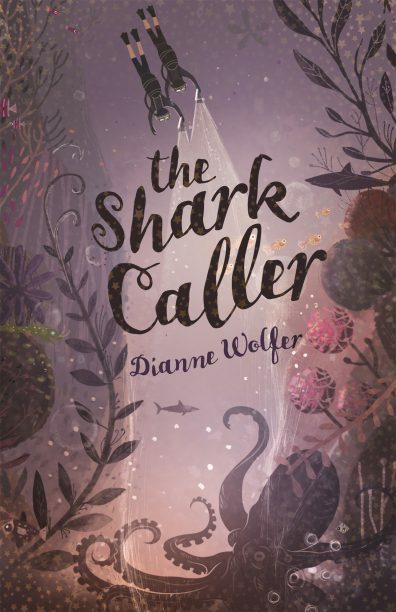 The Shark Caller breaks new ground in junior YA fiction. Dianne Wolfer blends a mystical tale about legends and traditions in Papua New Guinea with issues such as saving a coral reef. Told through the accessible voice of 14-year-old Izzy, whose twin brother Ray has recently died, the story begins with Izzy and her Islander mother flying to their ancestral home on an island near Kavieng to release Ray’s ashes into the water. Ray was the last of the shark callers and was expected to take an offering to the shark god in an underwater cave in return for the obsidian that will bring hope to the community. Even though the clan is matrilineal, shark callers are male and so Izzy is not expected to fulfil Ray’s destiny. But she must try. The underwater scenes are a highlight of the novel, with myriad nudibranchs, pygmy seahorses, anglerfish and cuttlefish showcasing the abundant sea-life. These scenes also reveal the effects of chemical runoff from logging, which contaminate the water and destroy the coral. These issues of conservation and identity, as told from Izzy’s dual-cultural perspective, with a scattering of creole Tok Pisin words, will intrigue readers aged 11 and up.